Senior Iranian officials attacked the US administration on Wednesday for "breaching" the nuclear deal made last month. They further accused the White House of taking orders from "radical Zionist lobbies," and claimed European negotiators agree with their position on these points. Along with the broadside against the US, Iran's military made several announcements, including a top official's boast that "Iran is the fifth missile power in the world." The verbal barrage comes after nuclear talks broke down last week, as Iranian negotiators walked out over the US's expansion of its sanctions blacklist. The move was taken against a dozen overseas companies and individuals for evading sanctions on Iran. The blacklisting was hailed as a "stark reminder...that we will continue relentlessly to enforce our sanctions, even as we explore the possibility of a long-term, comprehensive resolution," by David Cohen, US Treasury undersecretary for terrorism and financial intelligence. Talks were set to resume on Thursday, and deal with implementing the six-month interim deal. However, last week after talks broke down, US officials said they were "very skeptical" that a final nuclear deal would be reached, reports the Washington Free Beacon. One Senate aide said the nuclear "deal is an illusion; there is no deal in place. US President (Barack) Obama announced a deal nearly a month ago and the Iranians haven't taken a single step to implement it." Iran's recent accusations against the US were made by Hashemi Rafsanjani, chairman of Iran's parliamentary Expediency Council. On Tuesday, Rafsanjani told the Iranian state-run Fars News Agency "during the two days of my meetings with European delegations, they criticized the US for its breach of the Geneva agreement and said that the US obeys radical Zionist lobbies and individuals who have exerted pressure on that country." Rafsanjani specified that he talked with former Italian Prime Minister Massimo D'Alema, who said he protested against the US, according to the Iranian's account. D'Alema also said that there was a decision made "in the (EU) Council of Ministers in Brussels to ease the EU sanctions against Iran independent from the US," according to Rafsanjani. Iranian media reported that US Secretary of State John Kerry called his Iranian counterpart on Monday evening to try and “soothe Iran’s anger." However, Iran has been ratcheting up its military rhetoric. On Wednesday, Mansour Haqiqatpour, vice chairman of Iran's national security and foreign policy commission, claimed his nation is a global leader in “indigenous missile technology," bragging "our Islamic Iran is the fifth missile power in the world." Iran claims to have developed "indigenous" missile production technology, which would allow it to deliver a nuclear payload. Iranian military recently revealed a new long range radar system as well, which it claims will boost Iran's air defense. 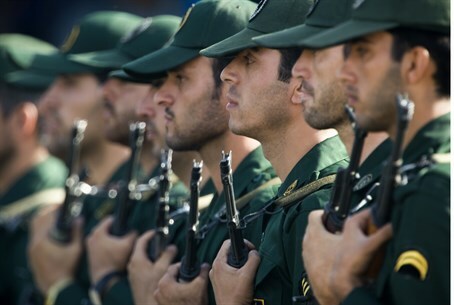 Experts have warned that the US is not prepared for Iranian military threats. Senior military analyst Lt. Gen. Thomas G. McInerney in late November warned that the US was up against the greatest danger it has faced since the 1930s.